You may have heard by now that a very disappointing news has swept Asian drama fans across the world. There will be one less source to binge on your favorite dramas. Warner Bros. announced an immediate shut down of its Asian drama streaming site, DramaFever. The New York City-based website can be considered a pioneer in the drama streaming service, subbing dramas for nearly a decade. A few days before the shutdown, the site announced a delay for its new episodes. However, what awaited fans isn't their much-anticipated drama episodes but a sudden close-down notice. “Thank you for nine great years. 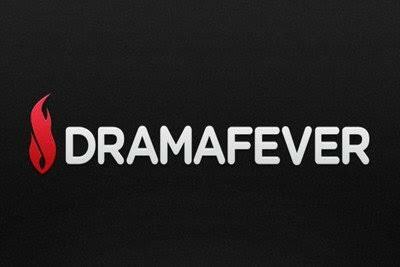 As of October 16, DramaFever has been shut down… While this decision is difficult, there are a variety of business reasons that have led to this conclusion,” the DramaFever website posted on Tuesday. “We’ll be issuing refunds as applicable, and subscribers will receive an email from us with details in the coming days,” it added. “Today, Warner Bros. Digital Networks will be closing its DramaFever OTT service due to business reasons and in light of the rapidly changing marketplace for K-drama content, a staple of the service’s programming,” the company said. Although this might come as a shock, there were already some warning signs. Warner Bros. previously revealed it will soon be launching a new broad subscription-streaming entertainment service anchored by HBO. Goodbye DramaFever! You will be missed! Such a disappointing end. Even though I was always wondering how long they'd survive thanks to the introduction of Kocowa, I dis not expect such a quick and disappointing end. It’s expected since this year they haven’t brought in many new Korean shows. They used to have license for tvn dramas but it’s all going to Netflix this year. Plus, they haven’t focused on enhancing their apps which has many glitches. They do carry a few C-dramas show that Viki doesn’t so hopefully Viki will pick up more C-dramas now that DramaFever is out of the picture. Very disappointing the way this all played out. RIP Drama fever you will be missed.